BLOGGERS: Real Clear Politics refuses to allow Reader Articles concerning Barack Obama’s citizenship. My latest post reports a scheduled Supreme Court conference on this very issue. My post was removed from RCP today. In fact, every post, by most bloggers, covering Barack Obama’s citizenship has been scrubbed from RCP. Most of us think what the Supreme Court does is news worthy. Not the case at RCP. The question is: why does RCP not deem actions by the U.S. Supreme Court important for readers to know about? PLEASE, if you have not posted about this already, grab this and cross-post at your blog. Let’s get the information out and send some letters to the Supreme Court. Justice Clarence Thomas has placed a discussion of Barack Obama’s citizenship on the December 5th docket for conference, meaning a discussion of the merit of this particular case. The Supreme Court’s website listed the date for the case brought by Leo C. Donofrio against Nina Wells, the Secretary of State in New Jersey, over not only Obama’s name on the 2008 election ballot but those of two others, Sen. John McCain and Roger Calero. 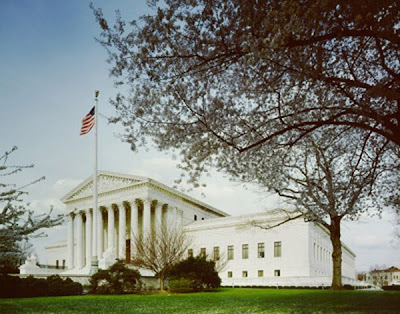 Normally, during their term, the Supreme Court Justices conference on Wednesday (typically, but not always) and review the various petitions and applications before them, deciding which of the many such proceedings should be heard by the Court. I suspect that we could soon see a similar entry on the docket for Berg’s case as well. Please visit America’s Right and WorldNetDaily for more.